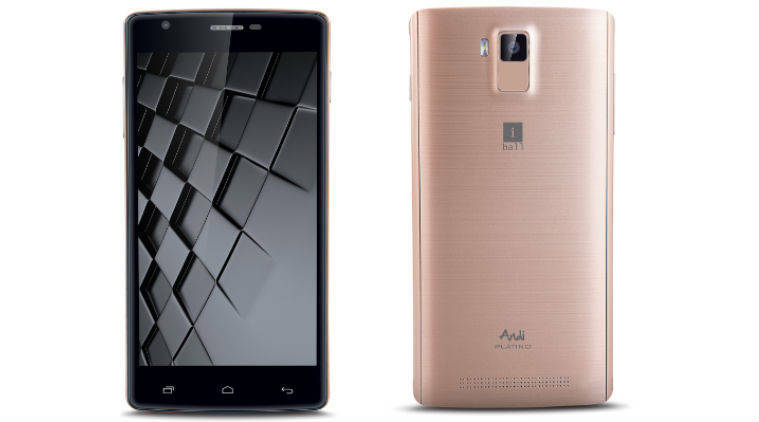 The iBall has launched the dual-SIM-based Smartphone Andi 5U Platino with the price tag of Rs. 4,599. The company has announced that the Andi 5U Platino will be available for sale via retail stores soon. The Smartphone runs on Android KitKat and comes with 5-inch 540×960 pixels qHD capacitive touch screen display, with pixel density of 220ppi. The smartphone is powered by a 1.2GHz quad-core processor coupled with 512MB of RAM. It has 8GB of inbuilt storage, which expandable via microSD card up to 32GB. The phone sports an 8-megapixel rear camera with LED flash, and 0.3-megapixel front-facing camera. It also houses a front camera for video calling and selfies as well. In terms of connectivity options the Andi 5U Platino includes 3G, GPRS/ EDGE, Wi-Fi 802.11 b/g/n, A-GPS, Micro-USB, and Bluetooth features, with 2000mAh battery, and comes in a Black colour variant. The Smartphone also supports Multi-regional languages (Read & write) for 21 Indian regional languages as well as with built-in for 9 regional system languages, company also offers a bundled free protective cover with it. You should see that iBall is giving very low end specs and many phones are already giving good specs compared to this phone. Karbonn Sparkle V can be a good alternative.